I find the lack of extra parts a bit sad, especially for Power Rockman who only comes with one alternate faceplate... but those are some nice looking figures. Since they come as a 2-pack, I may pick them up. i think its typo..8k yen..not 80k yen..
Yeah. I'm so getting those. 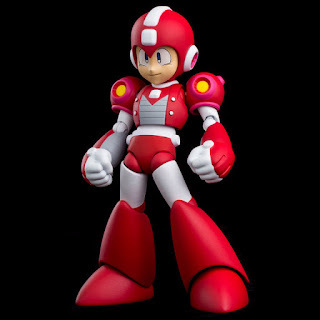 Finally someone is tapping into the wellspring of classic Megaman figures that have never been made. 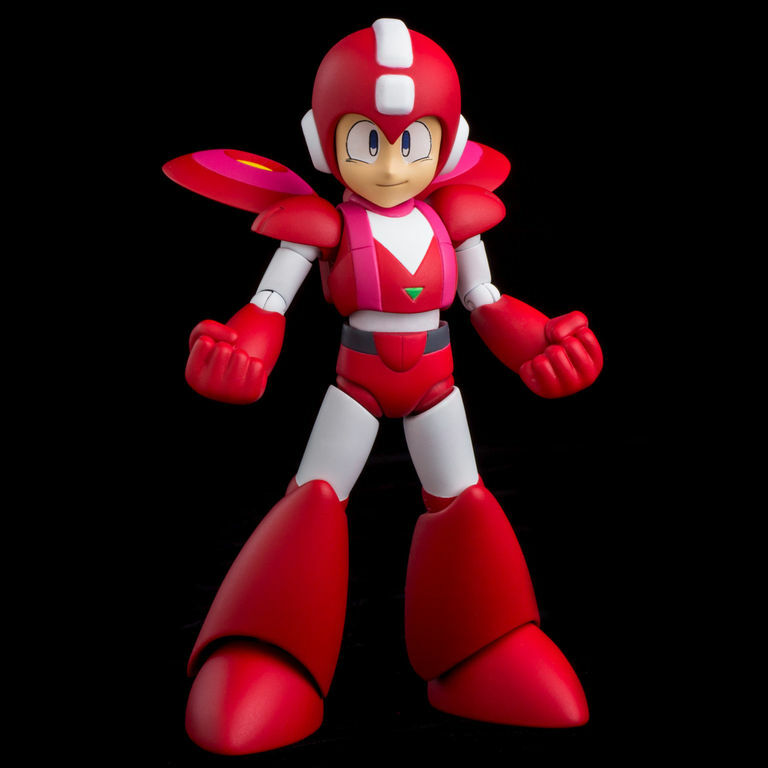 Hope they do more classic figures before Megaman Zero tanks the entire line. "Hope they do more classic figures before Megaman Zero tanks the entire line." These ones are pretty cool. Damn Brexit had to ruin the Yen! This would have been about $70 USD! Give it a few weeks. Things will normalize. They always do. Brexit is only a week old. The markets are already adjusting and correcting itself to the initial shock. The long term effects are to be determined. Now if the Yen has been strong since the beginning of the year, then you need to look at something else entirely as the root cause of the Yen and not Brexit. Really hope these perform well, I want Sentinel to get around to tackling the main characters(Mega Man) from Star Force, ZX, and Legends since they never seem to get anything in the way of figurines. I love these figures. I have been on the fence about the Sentinal ones, but now I am going to have to get on board. I wonder how they scale with the other Rockman figures? Nudge nudge: Iris, Alia, Mavericks and some other characters that get no love? Would it be too much to hope that one of these figures eventually comes with a Tango figure as an accessory. I got a Rush, I got a Beat, now I need Tango and Eddie. Hi, where did you get your Beat? I got my Beat from a Jazwares set. It's a little large for the scale, I am looking to sculpt a smaller one soon! Beat came with the Jazwares Mega Man figure. Not the best Mega Man figure but the Beat looks great. That quality, I'm about to pick me u- oh, yeah. Figures are expensive. Figures looks good but they are expensive. I will pass because I don't want to waste my money so they can be rich and wealthy while we are suffer, no thanks. I will wait for them to become cheaper in the near future. If they're anything like nearly every other Mega Man figure... this may be the cheapest they'll ever be. Some of those Bandai D-Arts ones that released at around the same price (~$40) are going for upwards $120 these days. I wish I could get at least one of them! According to the article, these are a set. Based on what I am seeing above, I wonder how many don't realize this? 80 dollars for TWO figures. That's 40 bucks a piece. That's the price of the standard Sentinal Rockman figures. That's not a bad deal. Not at all. I just want to see one of these next to a D-Arts. If they are 4" tall (ish) then X would exceed that to maintain scale if they make an X. Need pre order...These are sooooo cool! So, this is a quick question. When they released the pictures for the upcoming figures, they had 2 boxes that had upcoming classic megaman figures. In the first box, they had jet megaman, and power megaman. In the second box they had Furman and then jet megaman a gain. Anybody know why they are planning to release 2 jet megaman? Well they're not exactly the same. I take no issues with it, the Super Adapter figure is going to be awesome. That's the one I'm looking forward to the most from sentinel. That and Cut Man. The Jet Mega Man in this set is a slightly different design, the one in the other upcoming set is the Super Armor from Mega Man 7 whereas these are from Mega Man 6. That Dark Rockman.EXE tease at the end was nice. Though too bad I've already got Normal Style Rockman.EXE on order, and judging by how much of a markup SAITO Rockman was, I'm not even gonna bother with Dark Rockman.